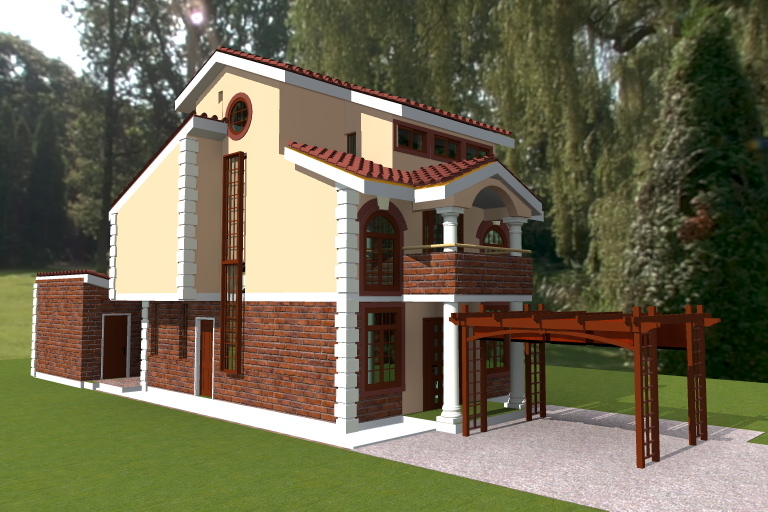 This house plan is designed for narrow lots and it will easily fit in an urban plot of 7*20 meters or 1/10th of an acre. 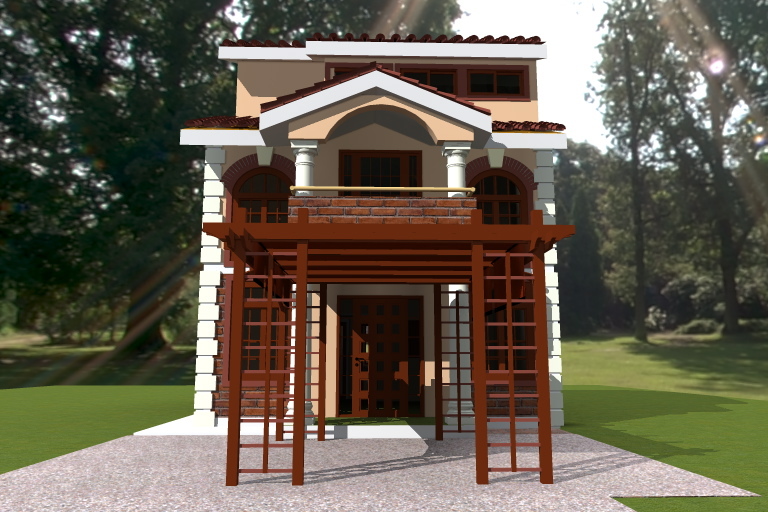 The overall dimensions of the house are 6.3×15.2 meters. 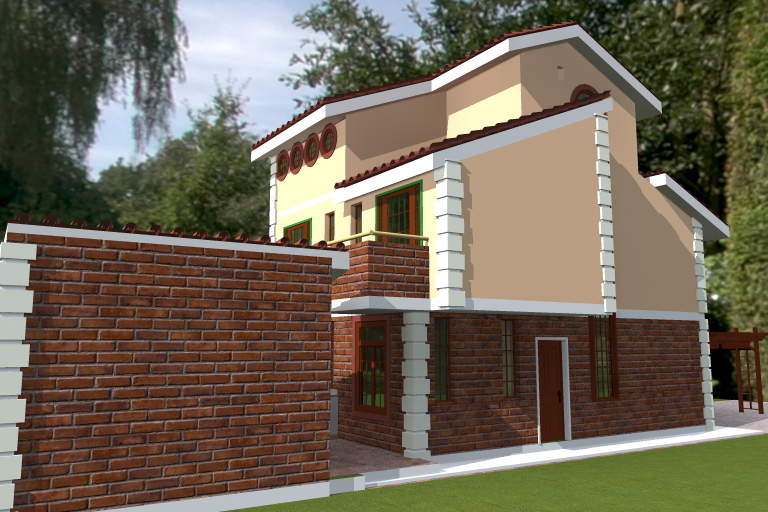 The beauty of this house design is placement of windows to the front and rear of the house, allowing plenty of light and air to enter the rooms.With a total area of 151 square meters (1,625 sq.ft) plus a servant quarters with 16 square meters, this house is ideal for an elegant home for the young family. 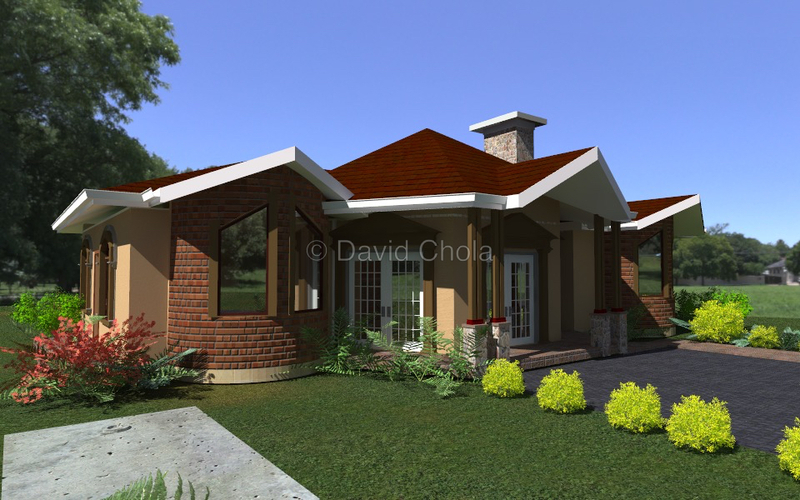 The house plan is also idea for an estate where each house sits on a small piece of land. 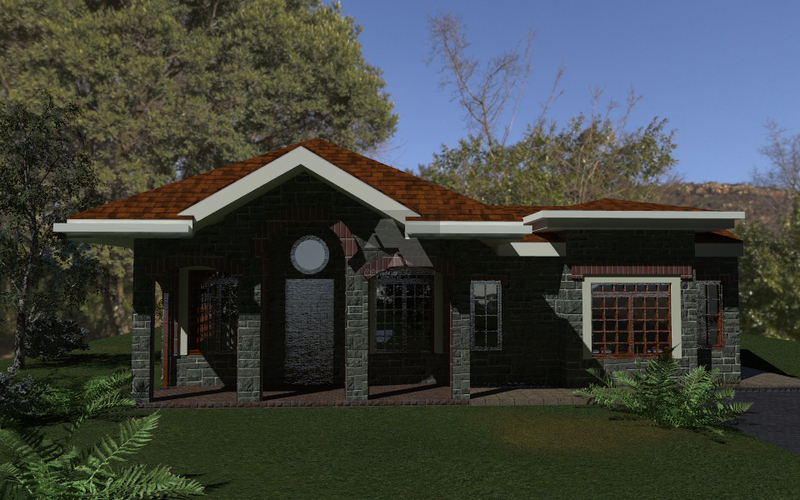 Visit our FAQs page for more information on this and other house plans. Hello David.Excellent house for an ideal gatedcommunity estate been thinking of. How much 4 a unit? All details forwarded to you via email. Hi David. Have been looking for an ideal family house and i think this is it. Roughly how much would this house cost to build with basic finishes. Hi, Am looking at 3 Br bungalow m-ensuite, spacious living/ dinning area with an extended porch/lanai behind. On an eighth with detached or non detached garage. To accommodate space for flowers and kitchen garden. I love nature therefore earth colours preferred. Guest wing like a bedsitter separate. I have sent you and email with the details. Awaiting your response. 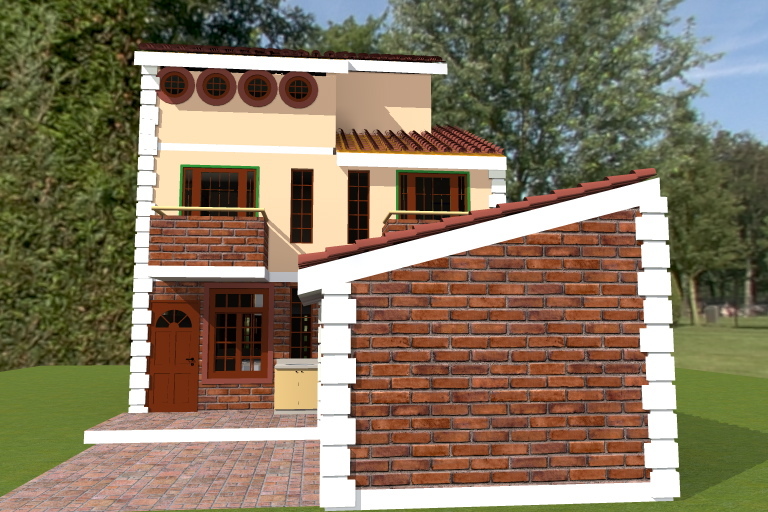 HI David, i am interested in this house plan. 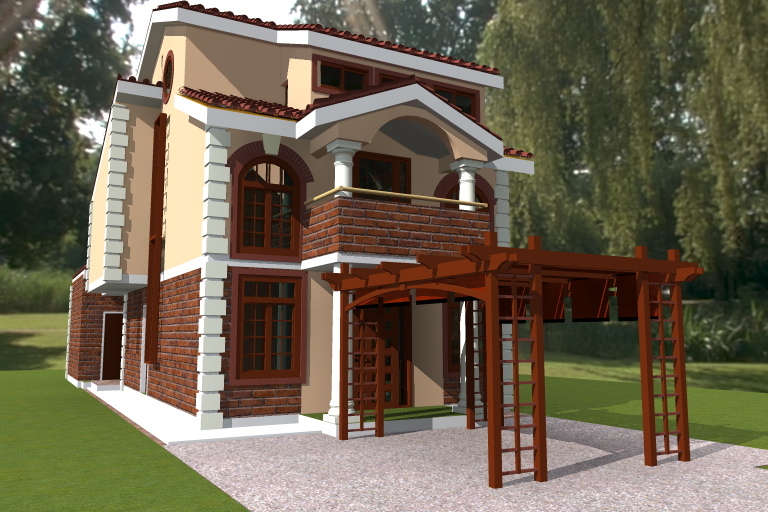 Kindly share with me the approximate cost of constructing it in Kisumu. 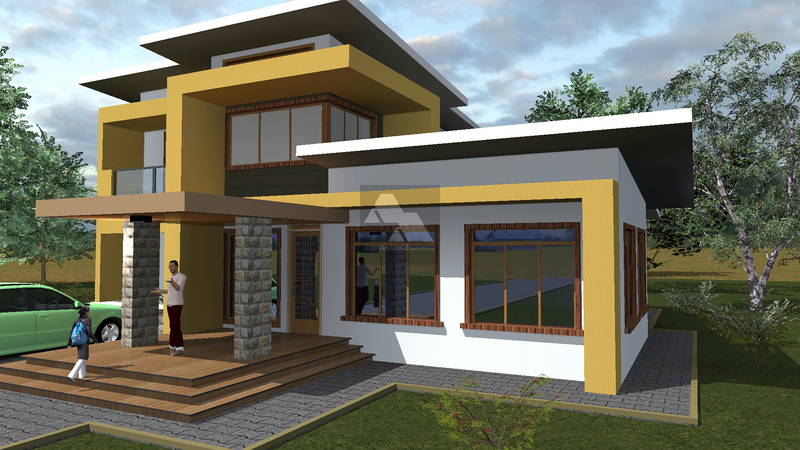 Hallo, I like this house plan. 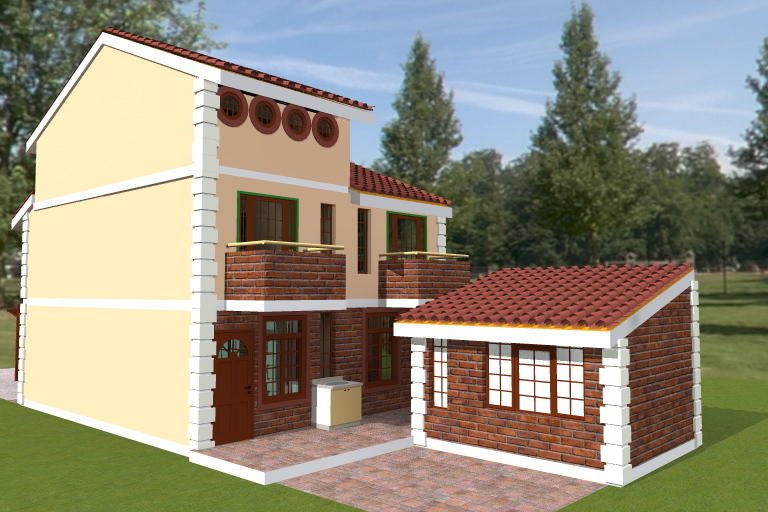 Please share with me the cost for building in Kisumu and that of the plan. Thanks. 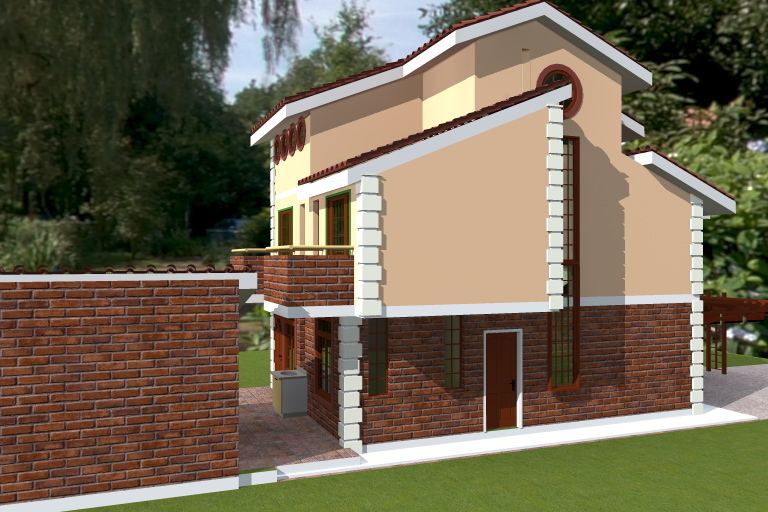 Hi I would like to construct a three bedroomed bungalow house with a mater bedroom ensuite with a budget of 1.5million. is it possible? 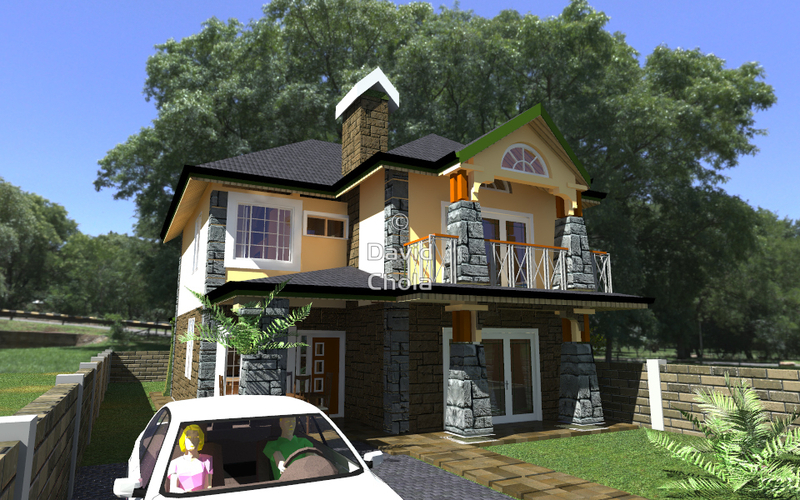 If you keep it simple and functional, 1.5M is a good budget to start with on your home construction. You can build your structure and basic finishes with this budget and work on the rest of the finishes over time as more funds become available. When working with a small piece of land,the best options is to go up. 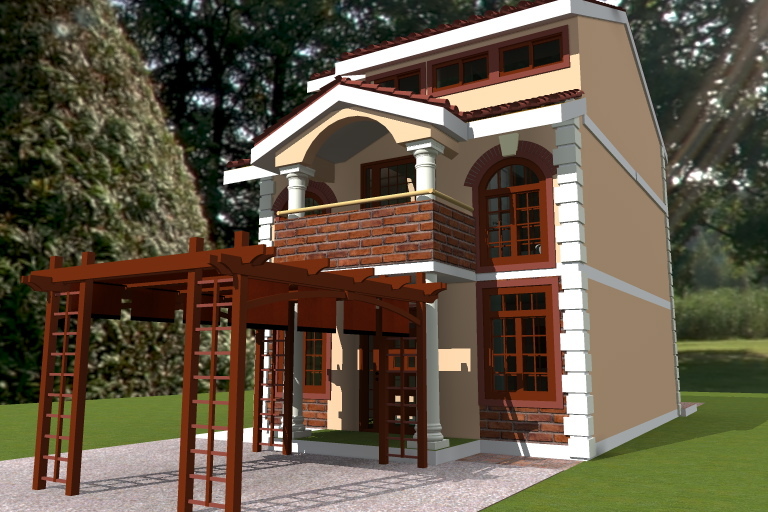 You can build a maisonette and this will save you some space for parking and allow you to build a spacious enough house. If you are available you can visit our offices for further discussions. 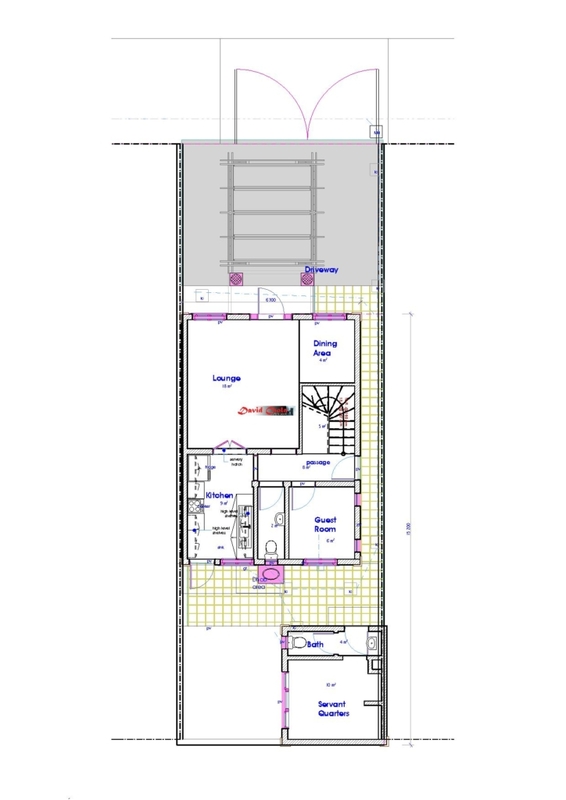 How much are your plans for a 4bd maisonette with master ensuite with walk-in closet on a 50 x100 plot. 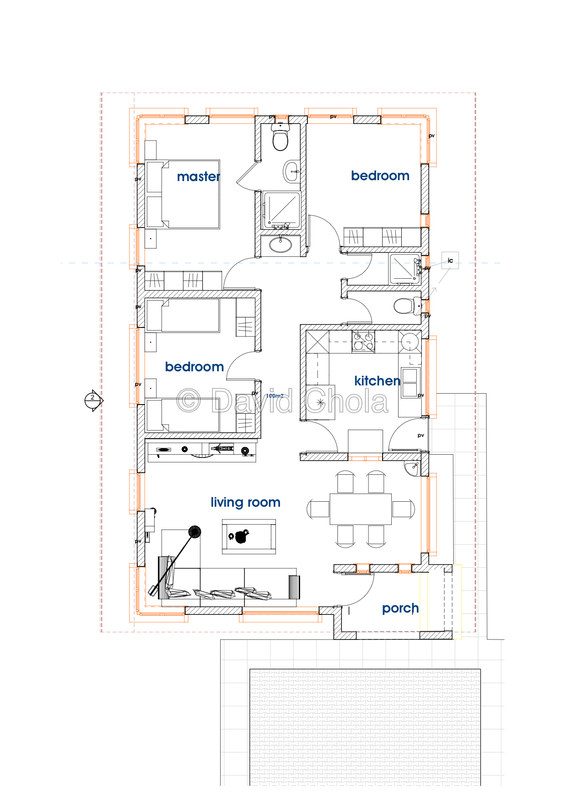 A standard size house leaving a space at the back appx 10 feet, 5 feet spacing on each side , and some parking space at the front. 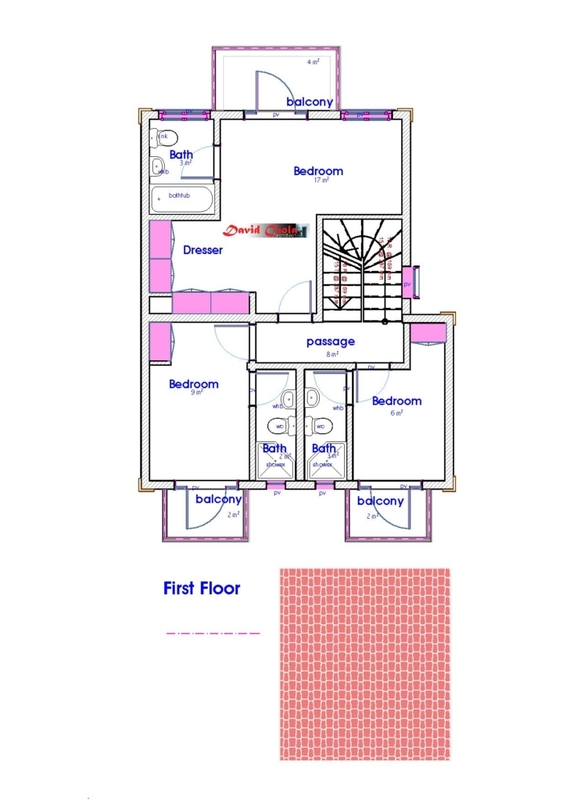 I have sent you details on 4 bedroom house plans as well as sample house plans. 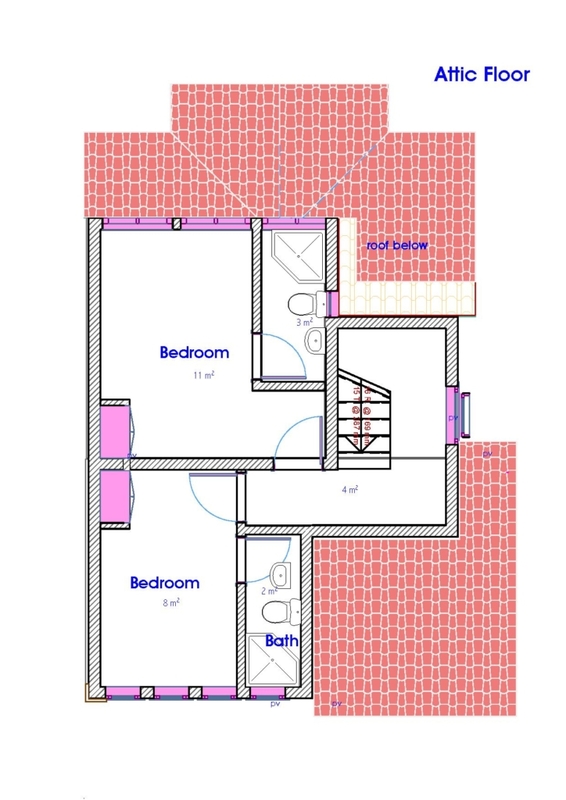 looking for a modern three bedroom maisonette plan. parking should be for 2 cars on 1/2 acre of land. I hope you received my email with all the details.